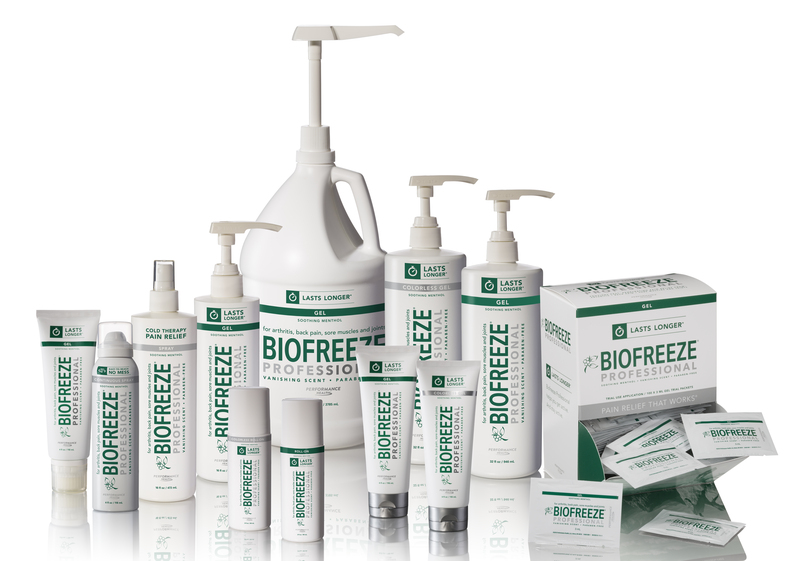 **Biofreeze® Professional Offers Faster More Effective Results, Lasts Longer, and You Get More Product Ounce For Ounce! 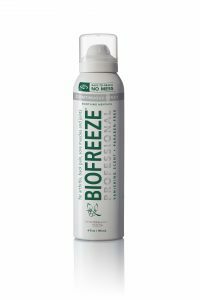 Biofreeze® In Stock and Ready to Ship. We took the #1 clinically used and recommended topical analgesic and made it even better. 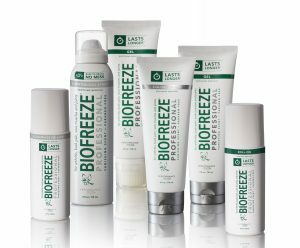 An extensive study showed new and improved Biofreeze® Pain Reliever is preferred by 4 out of 5 users. 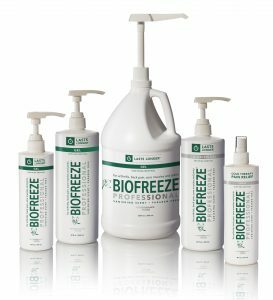 Biofreeze® Pain Reliever delivers targeted pain relief with the benefits of cryotherapy to treat athletic and muscle related injuries, sore or strained muscles, shoulder and arm discomfort, neck, hip and leg pain, back pain, painful joints, ankle or foot pain, and pain associated with bruising, and arthritis.